We cover the latest trends in bedroom decor to really give your most personal space in your house a stylish update. 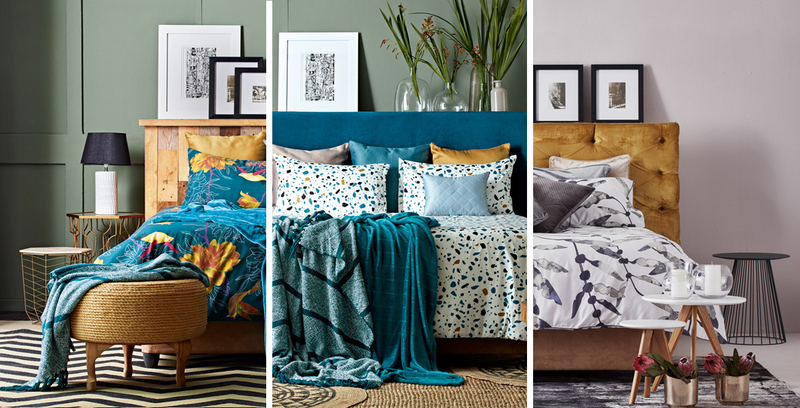 Update your most personal space in your home, your bedroom, with the latest winter-appropriate prints and accessories. Head into the tropics with prints that are more dramatic and less cliché than the punch-drunk primaries of old. Think juicy hues set against deep, inky tones for an opulent, luxe feel. Traditionally used on walls and floors, the fragmented terrazzo pattern has made its way into a variety of décor accessories, for a modern take on the trend with a striking effect. 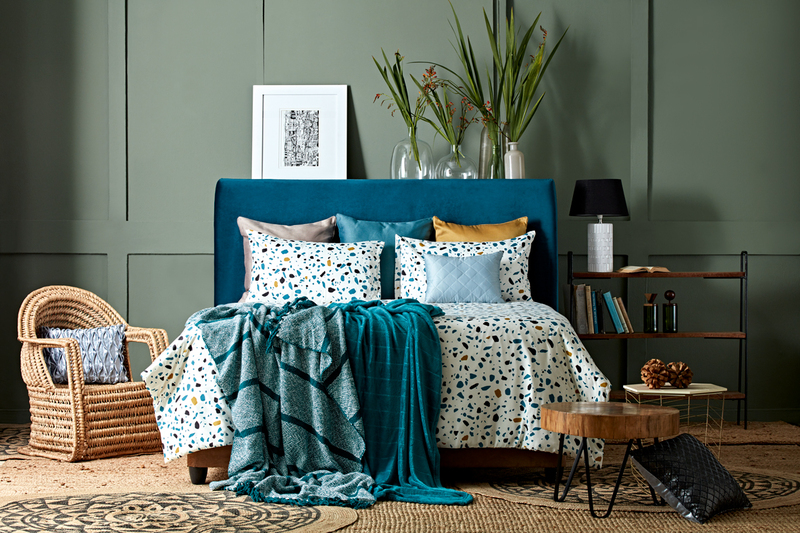 Terrazzo-inspired prints, are a subtle yet effective way to add unique personality to your home. 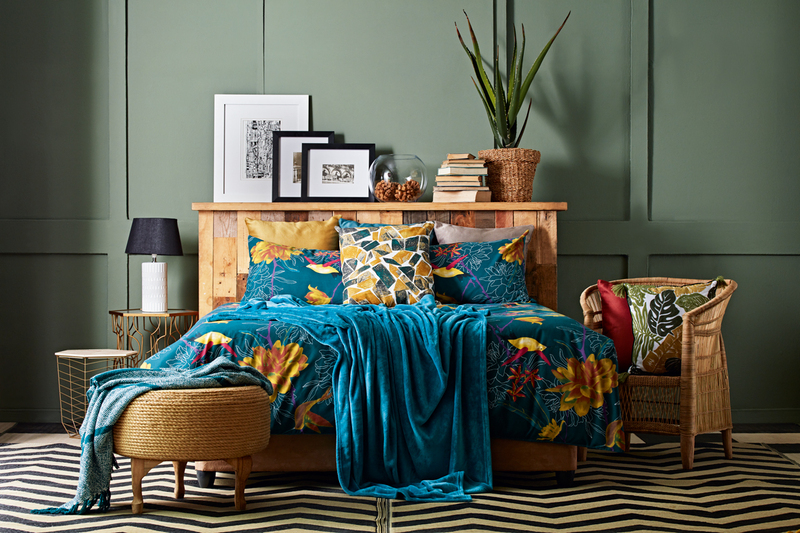 This trend is a subtle way to interpret tropical prints. The botanical prints softer, diluted by a desaturated colour palette this season. There’s a strong painterly element to a lot of the designs, making the look feel less imposing that out-and-out tropical palms. Fashion direction & production: Brittany Penebre. Photography: Jacobus Snyman/Hero Creative. Styling: Rusuhana Burton.